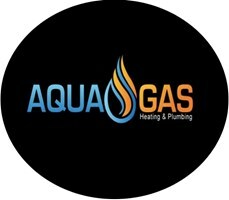 Aqua Gas Heating & Plumbing - Central Heating Engineer, Household Water Treatment, Plumber based in Portsmouth, Hampshire. Thank you for your interest in Aqua Gas Heating and Plumbing. We pride ourselves in being efficient, reliable, and providing cost-effective and quality solutions for our customers. With over 13 years' experience across the south coast, we are your one stop shop for all of your plumbing, heating and water softening/treatment needs. Gas cookers, gas fires and gas water heaters. We also offer reactive maintenance and breakdown/emergency call-out services in a timely manner and at competitive prices. Looking to keep your families safe, your boiler warranties intact and your tenants happy, we offer Gas Safety Certificates and annual boiler servicing at affordable prices. If you have any questions or would like to discuss any plumbing, heating or water softening/treatment requirements, please get in touch with us as soon as possible and you will be met with knowledge and a friendly service.